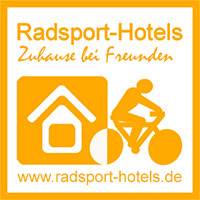 The Dampfmühle, your hotel in Enkirch in the Mosel region. Welcome to our small hotel which has been family-run for three generations. Simply forget your everyday worries and relax in a pleasant atmosphere. Our premises are located at the edge of the village and forest of the beautiful and historical wine-growing village of Enkirch with its many well-preserved half-timbered houses. We have 29 beds available for you in 15 modern and brightly furnished guest rooms. We look forward to treating you to our cuisine in our guest rooms or on our patio. You can be sure that you will find your very own secluded spot in the gardens surrounded by trees; or you can simply laze on lawn and sunbathe or enjoy the swimming pool. See you soon!